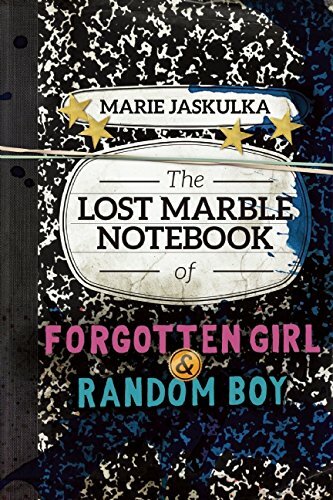 Sweet Sixteener Ruth Lehrer recently spoke to Fearless Fifteener Marie Jaskulka about her debut YA verse novel, THE LOST MARBLE NOTEBOOK OF FORGOTTEN GIRL AND RANDOM BOY (April 7, 2015 from Sky Pony Press). Marie Jaskulka writes fiction and poetry for readers of all ages. She grew up in Philadelphia and Northeast Pennsylvania, and graduated from Saint Joseph’s University with a BA in English and a concentration in writing. After tutoring and teaching for a few years, she ventured north to Fairbanks, Alaska, to earn an MFA in writing and to contemplate the meaning of life under the aurora borealis. Now she lives and writes in the Pocono Mountains. Find Marie on her website, Twitter, and Goodreads. Forgotten Girl, a fifteen-year-old poet, is going through the most difficult time of her life—the breakup of her parents, and the paralyzing depression of her mom—when she meets Random Boy, a hot guy who, like her, feels like an outcast and secretly writes poetry to deal. In THE LOST MARBLE NOTEBOOK OF FORGOTTEN GIRL AND RANDOM BOY, their poems come together to tell their unique love story. The two nameless teenagers come from opposite sides of the tracks, yet they find understanding in each other when they lay bare their life stories through the poems they write and share with each other. Through verse, they document the power of first kisses, the joy of finally having someone on their side, the devastation of jealousy, and the heartbreaking sadness of what each of them is simultaneously dealing with at home and hiding from the world. Finally they have someone to tell and somewhere to tell it in their marble notebook. THE LOST MARBLE NOTEBOOK OF FORGOTTEN GIRL AND RANDOM BOY is available for purchase at Amazon, Powell’s, Books A Million, Barnes & Noble, and Indiebound. Ruth: How did you make the decision to keep your main characters nameless? Did you have names for them in your head or in a prior version? Marie: They never had names. I started writing the characters’ dialogues and they used a lot of pronouns. He was named first, when she called him a Random Boy. Then as I kept writing, when it came time to give actual names, it became a sort of a game–how could I word it without saying their names? I found it really natural to not give names because when you’re writing poems in your journal, how often do you include your own name? Except for the occasional bubble-letter doodle, I never do. Ruth: THE LOST MARBLE NOTEBOOK is written in verse. Poetry isn’t an easy sell although YA verse novels have started to get some traction. Did you worry you would have a hard time getting an agent or publisher? Marie: Yes, I did worry, which is why I never tried writing a verse novel before LOST MARBLE NOTEBOOK, even though I’d thought about it for a while. Writing poetry actually feels a little more natural to me than writing prose. After I finished up a big children’s poetry project for my day job, my writing group said, Why don’t you try a verse novel? It was an exercise, more than setting out to write a book that would get me an agent. But then I started falling in love with the characters. No other book that I had written felt so good, and I started to think that even though it went against the typical agent and editor advice, it was too good not to finish, and maybe good enough to defeat the odds. But then I started sending it to agents and got a reality check. It is a very good point that verse novels are a hard sell. Ruth: This book deals with some heavy topics. Why did you feel called to write a book about trauma and abusive relationships? What was your inspiration? Marie: It’s something I’ve always been interested in–the whys and hows of staying in an abusive relationship. So many people ask, “why did the victim stay with the abuser?” I wanted to try to answer that question. I did some research on why men resort to violence and why women stay. For so many people, adolescence is when it starts–when you’re young and inexperienced and you want to believe that your situation is the exception. Some people get themselves out of it, but some young people start a relationship pattern that repeats itself throughout their lives. I wanted to write a book for a reader in the middle of that confusion. Maybe she’d read it, and maybe it would help her realize that she has way more power than she thinks over how her life turns out. What kind of editor did you have? Was she a poet? Were any of your beta readers poets? Marie: My editor is not a poet, in fact, I’m pretty sure she said sometime during the editing process that THE LOST MARBLE NOTEBOOK was the first book of poetry she’s worked on. 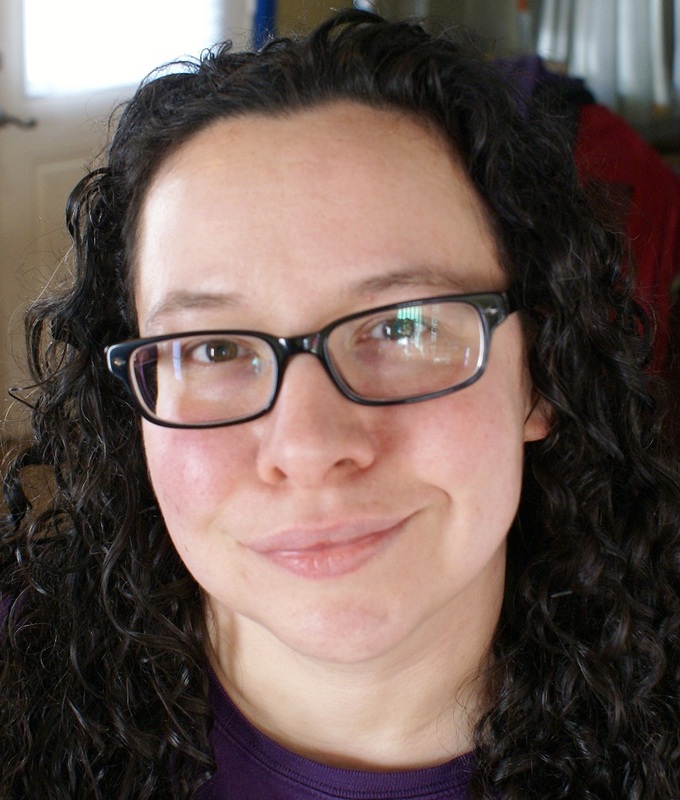 Like me, my editor, Nicole Frail, works on all kinds of books and genres. And all three of my beta readers are fiction writers. A lot of readers are scared off by verse novels because of this misconception that poetry is difficult to understand, but novels in verse incorporate a lot of fictional elements, so my fiction-loving editor and betas were actually pretty incredible. Ruth: Do you have another novel in the works? Marie: I always have a lot of projects in the works! I have a couple of novels in progress, and I’ve been writing poems for another verse novel. I also recently finished a draft of a picture book. I like to experiment and try completely new things. I write steadily and then a project will just take me over and I go into “editing cave” mode, where I don’t want to do anything but work on my project. Once that happens, it’s all I can think about, and all I want to do is chip away at it until it’s done. I am a freelance writer and editor. Last summer, I took a position at a children’s book publisher. I’ve always loved publishing and really anything to do with books, and this job has been a dream come true. Do you have a poetry mentor? Not really. At the University of Alaska, Fairbanks, my mentor was Frank Soos. He writes fiction and nonfiction, but it’s very poetic. I took several UAF poetry classes with Derick Burleson. He was instrumental in me starting to believe that my poetry was worth working at. He taught me a lot. Both! When I can choose, I usually opt for the laptop, but sometimes I like to go back to my roots: nothing like a felt-tip pen and a marble notebook. BALLADS OF SUBURBIA, SPEAK, THIS LULLABY, JUST LISTEN, A CERTAIN SLANT OF LIGHT, WHERE SHE WENT, THE ABSOLUTELY TRUE DIARY OF A PART-TIME INDIAN. Your book debuts in April! What are you planning for your launch? I’m organizing a launch party. My plan is to just get my book in front of as many eyes as possible. I am having an ARC giveaway on Goodreads too! 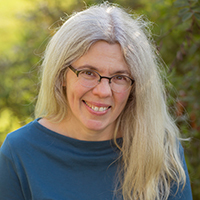 Ruth Lehrer is a writer and a sign language interpreter. Depending on who she’s speaking to, she says she is an interpreter and a writer, or a writer and an interpreter. She lives in the woods of western Massachusetts. Her debut, BEING FISHKILL (Candlewick Press, Fall 2016), is a literary coming-of-age novel about a hardscrabble young girl whose tentative family bond with a new-to-town single mom and her precocious daughter is suddenly threatened by the reappearance of her own unstable mother, long presumed dead. You can find Ruth Twitter. Congratulations Marie! So cool to see another author from Sky Pony press!